While clearing out a hidden corner of my home office recently, I came across a treasure trove to brighten the eyes of fitba fanatics. I was looking for old programmes to pass on to Tommy Hughes, who does a great job selling them on eBay for the Sons Supporters Trust's Youth Development Initiative. What I found, in addition, was some old hardback copies of The Scottish Football Book from the early 1970s. If you’re 40 or under, that title might not mean a lot. But for me and many others it was the other meaning of Christmas. Along with International Soccer, the more obviously youth-orientated products (Shoot and Score annuals), the Scottish Football Book was the present I really wanted my parents to remember. Mostly they did. Sometimes I’d have to wait for my fix, by spending some tokens which, they hoped, would be employed expanding an interest in history or literature instead! Figuring that in the Internet age of information overload football annuals would be confined to antiquarian bookshops, I was initially surprised (but then again not, thinking about it) to discover a website called http://www.footballheaven.net doing a buzzing trade in yearly titles, old and new, alongside the usual panoply of memorabilia – badges, flags, scarves and shirts. Along with scraps from the press (I live in England, remember), the Scottish Football Book, which first appeared in 1956 and lasted just over 30 years, was an oasis in what felt like an information desert concerning the game north of the border. It was the brainchild of sports journalist Hugh Taylor. The fact that he did a deal with respected London-based publisher Stanley Paul meant that his yearbook was even available in my neck of the woods, sedate Kew Gardens. Naturally, there was a fair spattering of the Old Firm and the national team, but what made the annual special was that Scottish football at all levels got the treatment in a series of well-crafted pictorial essays that told the story of the previous season in vivid, passionate terms. Players also had a voice. Dumbarton’s heroic 1970 League Cup semi-final showing against Celtic at Hampden featured in edition number 17, one of my treasured possessions. Back in the 1960s and 1970s, this kind of publication was in its element. But Taylor got there first and dutifully fought off the opposition, including attempted annuals from the Scottish Daily Record, the Scots Sport TV show and, in 2004, the Glasgow Evening News’s The Big Red Book – as writer and fan Alan Cunningham recalls in ‘Fitba Mad’, an article for Textualities. My late parents would at least be gratified to know that the writing in The Scottish Football Book was good enough to merit the attentions of an online literary magazine! Quite apart from mushrooming on the net, with wildly varying results in terms of quality, the market for football writing has continued to explode in printed form over the past fifteen years, too. Who says the web and the book are enemies? However the style of publication has changed radically. A lot of the material now comes out in ‘branded’ packages from the PR departments of big teams, from tabloid hacks seeking an extra buck, and in reams of ghosted biographies for name players well short of their prime. The international game is also seeing more publishing action, with Africa, Asia, the Middle East and the Pacific starting to take their place alongside the established football arenas of Europe and South America. The best regular coverage, admittedly, is on the web, with sites like http://www.theoffide.com and http://www.theglobalgame.com giving a global twist to our domestic passions. Talking of which, Sons supporter Tim Rhead recently sent me a programme from 18 March 2006, a goalless Division Two draw against Forfar (who visit SHS again on 8 March). Nothing too global about that, you may think. Except that this was the occasion when Dumbarton became the first British football club to host a game dedicated to an Amnesty International campaign to release a prisoner of conscience held in Burma, 40-year-old teacher and mother Ma Khin Khin Leh. Tim will be at the Rock later March, when I’ll update you further on that one. Football memories aren’t just about nostalgia. They’re also about the difference the game makes to our lives. Including those Sonstrust youngsters funded by eBay programme purchases, of course… so lets give Tommy some more sales (tommyhughesATblueyonderDOTcoDOTuk). Was I dreaming, or did the Grecians play some Brazil-style football during the second half of our home game against Woking? I’m pretty sure we did, but I ask because when I woke up we appeared to have lost a 2-0 lead while still dominating the match in every way. When I got home, my wife asked me how it had gone. She doesn’t really care, but she’s good like that. I smiled enigmatically. “We thrashed them 2-2”, I declared, heading to the kettle for a consoling cuppa. Carla looked at me in a puzzled way, as if to say: “Is that football nonsense you’re talking, or just Simon nonsense?” The two are rather entwined in our household, I admit. I do feel stuck in a strange kind of alternate football world at the moment. Barnsley have beaten Liverpool. Preston clutched last-minute defeat from the jaws of triumph against Portsmouth. And Premier League chief executive Richard Scudamore now wants a season with 38 fixtures to have a 39th game played in Kuala Lumpur. Maybe it was the moon, and I read the press release wrong. At this end of the football food chain, we might say it really doesn’t matter what bonkers idea they come up with in the Rich League. But actually, it does. What’s wrong with holding Arsenal versus Liverpool (not, I wager, Derby versus Wigan) in some exotic clime is not the unfairness factor, not the arrogance, not the naked greed, not the gazumping of other regions. Well, OK, it’s all of those things, but there’s something worse. That “worse” is the total dislocation implied between football clubs as community enterprises weaved into people’s lives, and football clubs as anonymous brands run for the benefit of billionaires and fans the other side of the world who get all the gain with no pain. I’m not knocking the idea of supporting a team far away. 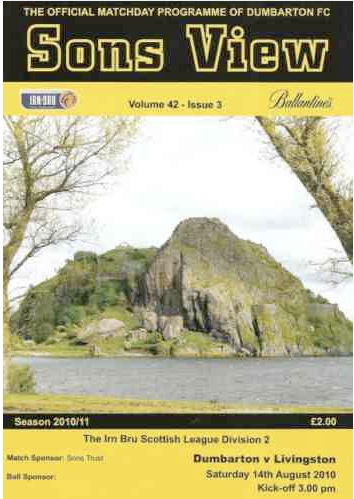 When I’m not at St James’ Park my heart is in Dumbarton, my primary allegiance, for instance - though you could hardly accuse me of glory-hunting for that. No, my point is that doing something with no regard whatsoever for the loyal supporters who have put heart soul, footwear and dosh at the disposal of their team is against the game’s spirit. Something that can’t be bought or sold. According to Richard Williams, who writes intelligently on football matters for The Guardian, where I also ply a bit of wordsmithery, being against Scudamore on this one is like trying to repeal the law of gravity. Sorry, Richard, you’re wrong. Goodness, even FIFA’s Sepp Blatter thinks the idea stinks and has pledged to oppose it for all he’s worth - hitherto not much, according to his large roster of critics. But he’s a powerful figure and that could change. Meanwhile, Mr Scudamore has told a House of Commons Culture, Media and Sport committee that the idea of Premier League games on five continents “isn’t a dead duck”, in spite of opposition from fans, the FA, FIFA, your gran, and all. His reasoning is simple. Money talks louder than principles and sentiment. Before I saw the light in 1969 and switched by allegiance unwaveringly to Dumbarton, influenced by my mother’s tenuous Scottish connections and a shaky 11-year-old’s grasp of geography, I was, like many football loving boys of my generation, a Manchester United fan. Everyone, it seemed, went through a Red Devils “phase”, just as most favoured the Beatles at some point. That was simply how it was. These days it’s hard to recall that the team in red and white were not then thought of as globe straddling show-offs, despised by most who didn’t follow them. Instead, they captured the sympathy and imagination of a huge swathe of the populous on account of three words: ‘Busby Babes’ and ‘Munich’. The air disaster that killed eight players and 15 other people (club officials, journalists and crew) on that fateful night in Bavaria on 6 February 1958 happened five weeks before I was born. It ended up shaping my outlook and that of several generations around me. The Beautiful Game was forever tinged with the shadow of tragedy, just as it was when 66 people were killed leaving an Old Firm match at Ibrox on 2 January 1971, when 96 Liverpool fans died at Hillsborough on 15 April 1989, and more recently when Phil O’Donnell collapsed at Motherwell on 29 December 2007. In each of these instances, and on a number of others over the years, the sense of pointlessness and waste was immeasurable. But the determination to go on living was also incredibly powerful. In the light (or rather, the snowy dark) of Munich, many found affection for Manchester United simply as a result of the guts and determination with which they faced their loss and adversity. I was 10 years old in 1968, when that great Scotsman Matt Busby led his team to victory in the European Cup Final against Benfica, a year after Jock Stein’s Celtic had brought it to these islands for the first time. I was allowed to stay up late that evening to watch the game on TV. I can still see the goals going in. Bobby Charlton, a Munich survivor, got two; Brian Kidd and George Best, stars of a bright new generation, got the others in a 4-1 win watched by 250 million people – a staggering number forty years ago. In an emotional interview afterwards, Busby instantly dedicated the victory to the memories of Geoff Bent, Roger Byrne, Eddie Colman, Mark Jones, David Pegg, Tommy Taylor, Liam Whelan and Duncan Edwards. Had they survived, the trophy might well have been theirs sooner. But Sir Matt, as he became, was not the only Scot caught up in the heroic recovery from Munich. Alex Dawson from Aberdeen, now aged 67, had his passport and visa ready to fly out to Belgrade for United’s European Cup quarter final against Red Star. But he was dropped, and as result was not on the plane when it refuelled in Germany, subsequently crashing on the runway as a result of technical failure brought on by snow and ice. Instead, Dawson, just 19, and a player who had appeared in the last three games of the team’s title winning season, went on to feature in the first post-Munich eleven that took to the field to beat Sheffield Wednesday 13 days later. Duncan Edwards died in hospital on Alex’s 21st birthday, and he went on to notch up 54 goals in 93 appearances before moving to Preston North End. The fate of the Scottish national team was also embroiled in the Munich disaster. In January 1958, Matt Busby had agreed to take charge of Scotland for the World Cup in Sweden. One month later, the horrendous injuries suffered by the Manchester United boss as a result of the crash brought his stint at the helm to an abrupt halt. He did return briefly after the tournament, but then gave it up again in December. Does any of this have relevance for fans today, at the Rock and elsewhere? Indeed so. Football is important. But it isn’t, as Bill Shankly once over-enthusiastically suggested, more important than life and death. At its finest it can display human creativity, teamwork and solidarity at its best. But it can also be an arena of bitter and damaging hatreds. The memory of Munich is that intractable rivalries are nothing compared to the capacity of the game to bring us together. It’s a lesson well worth recalling, whatever happens on the pitch tonight. Simon Barrow became a Sons fan on 13 December 1969. For some of us at St James’ Park this evening, the terrible Munich air disaster of 6 February 1958 will have been a defining moment in our football memories. For others it will be something we heard from parents or grandparents. Then again, you may be learning about it for the first time, as newspapers, TV, radio and the Internet echo to the emotion of a tragedy that claimed the lives of some of the finest footballers of their generation. One Exeter resident has particular reason to remember this month. Bato Tomasevic, now 78, wasn’t a footballer. He was an attaché with the Yugoslav embassy in London, and he travelled as a diplomatic fixer on the plane carrying Manchester United back from their game against Red Star Belgrade when it stopped off in Bavaria for fuel. The take-off was hampered by snow and ice. At the third attempt, the aircraft overshot the runway, crashing catastrophically. Twenty-three people lost their lives, including seven players (among them Duncan Edwards, who would almost certainly have played with England in 1966), club staff, journalists and crew members. Mr Tomasevic was seriously hurt, and spent a month in the same hospital room as Bobby Charlton and other team members. Last week he took part in the moving commemorative event at Old Trafford. Over the past fifty years, like a number of those closely touched by the trauma, he had said little publicly about that awful night. Two months after the crash, Bato married Madge, who he had met at Exeter University. They returned home, but fled again in 1991, under threat from then dictator Slobodan Milosevic, who did not like the programmes he was making as head of federal TV in Yugoslavia. The couple have now been living in Exeter since 1997 and have two adult children. Last week, on Saturday and tonight, acts of remembrance for Munich have been taking place across Britain, in Germany, and throughout the world. Football, we are reminded, isn’t just about competition, money and celebrity – it’s something creative and bonding which reminds us, if we have any sense, that our common humanity means more than even the deepest rivalry. Take Manchester United, for example. For those of us born within weeks of Munich, the first thing we associate with this most famous of teams is those ‘Busby babes’ who lost their lives in the snow, the incredible courage involved in rebuilding a team out of mourning and ashes, and that extraordinary night in 1968 when the team of Bobby Charlton, crash survivor, and George Best, brightest of a new generation, claimed the European Cup in a thrilling victory over Benfica. I was 10-years-old that night, and like the whole country, it seemed, cheered my lungs out for United. For most football loving boys of my age, they were the iconic team of the era. These days it’s fashionable to hate Fergie’s fashionistas. Indeed, bile and hatred towards your football rivals seems a common thing. It leaves me feeling sick. Yes, those anti-Argyll chants, too. That’s because so many of the greatest tragedies in history have grown out of what are essentially petty dislikes stoked by pointless anger and fanned by fanaticism. Munich reminds us that none of this does us any good. We can love our team without hating anyone else, just as we can love our family, country and friends without needing to despise others. It is the proximity of death, including the senseless loss of those young footballers in Munich, that reminds us what truly matters – and enables us to go on celebrating the game of life, both on and off the pitch. Usually when I am watching a match down here I'm also keeping an eye on how Dumbarton are doing up in Scotland, with text message updates from Denise Currie (thanks, D). Things are a bit grim for the Sons at the moment, and I admire the fans who continue to stick with it. I wish I could be there more, though I should count myself lucky to be getting what is almost certainly a rather better football diet week-in and week-out right now. Let's hope manager Jim Chapman gets the new players integrated and begins to find a formula soon, in prepration for next season (realistically). This is the fiftieth anniversary, to the day, of the Munich air disaster that killed eight Manchester United players and fifteen other people (club staff, journalists, crew) on 6 February 1958 - five weeks before I was born. 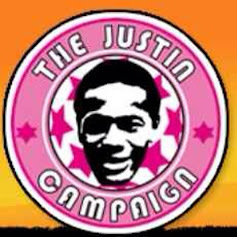 I have already made comment on how it shaped the perceptions of a generation, and I have written pieces on overlapping but different aspects of the tragedy for my upcoming Exeter City (12 February) and Dumbarton (16 February) programme columns. I will not add more at this juncture, other than to say that the memorials were moving, and that I have featured some less-known stories of those involved: the Scot Alex Dawson and the adopted Devonian Bato Tomasevic. This evening I watched the BBC1 documentary about goalkeeper Harry Gregg, who not only survived but helped others out of the wreckage. A remarkable man, not least for his refusal of plaudits and resolute determination. Tribute enough. Not a startling beginning to Fabio Capello's reign as England boss this evening: a 2-1 Wembley victory over an under-strength Switzerland side that introduced a host of subs and still nearly snatched a draw right at the close. Still, at least you couldn't accuse it of being a false dawn. Under the tough Italian, things can only get better. But as Alan Shearer rightly observed from the BBC1 pundit's chair this evening, if a manager of this undoubted quality can't get the players everyone has been saying 'can do it' to perform, then "things are worse than we thought". On the evidence of this plodding display, with sparks of creativity, there is a long way to go. But then no-one seriously thought this wasn't a long haul, and Capello said as much in his interview with Ray Stubbs ("Stubbsio" - Gary Lineker) before the game, with reference to the ascent towards a 2010 Word Cup in South Africa. The Italian also pointed out earlier in the week that he has 37 players to examine in the English Premier League, whereas there are 66 potential internationals ready to serve their country in Serie A. Or, to put it less kindly, his problem as England manager is that he can only pick English players. It isn't that there aren't some pretty decent ones, though how many of them would be selected for France, Spain, Italy, Argentina or Brazil is another matter. No, the difficulty has been getting them to gel as a team and perform with consistency, quality and adaptability. Sven Goran Eriksson did a good job overall, but received ill-informed bile towards the end. Steve McClaren was out of his depth, but can't be blamed for saying "yes" when offered the post. Capello is a master with little sense of fear. The question is, how can he transform the game in the middle of the park? The way to play England, it seems, is to spread in midfield and deny them space. That is what Switzerland, hardly past masters, did tonight. All too often, England players lacked the consistent technical ability to maintain first-touch passing and get through. For their clubs they can rely on other European colleagues to assist with that task, while they provide guts and movement. It wasn't like that here. In the end, the two goals came from incisive moves from the side. The new boss will hope that the Gerrard - Wright-Phillips move for the second is a sign of what is, in fact, possible on a more regular basis. Capello will want to do a lot more than wish, however. And no doubt he will do... a lot more. Is being a Sons fan doing yer heid in? It’s the sort of question that occurs to a number of us just as what looked like a welcome draw gets scuppered by an 89th minute goal from an opposing team that refuses to realise one simple fact: the honour of playing the Famous DFC ought to be enough to satisfy anyone’s appetite for glory. No need to go around trying to beat us. Especially at home. Alternatively, the Dumbarton Sanity Equation, as the regular delicate balance between despair, hope and fury is technically known, may rear its ferocious head between post-match jars of milk and honey in the Community Suite. Often when it’s your round. Make that a chaser, then. Psychological coaching has played an important part in the game of football ever since the first coach pinned the first centre forward to the dressing room wall and figured that throwing every insult known to humanity at him was bound to improve his performance in the second half. Sometimes, strangely, it worked. But things have taken a quantum leap since the Fear Factor was first dreamt up in a blind impotent rage at actually being two down to a bunch of one-legged welders from (insert your least favourite team here). Nowadays team talks in faraway places may resonate to the echo of subtle motivational banter (“tell yersel yer gonnae win, y'bunch ae losers!”) or even to a bit of Neuro-Linguistic Programming. NLP, in case you’ve missed it, is a set of techniques for taking a problem, ‘visually framing it’, and then rendering it harmless by association with an image that gives you confidence – that thug of a centre half you’re up against being stuck in a small box and attacked by squirrels, or something. Alternatively, as a penalty taker, you may be encouraged to imagine that the goal is really very big indeed, thus boosting your ego so that you are sure you will score if you hit the ball right. That last one has always struck me as part of the problem, however. The whole point is that the goal really isn’t as big as you might be tempted to imagine. That’s why it often gets missed at crucial moments. While it’s easy to milk psychobabble for cheap laughs (like I’m doing here) there’s a serious side to all this – namely that there are only 138 or so fully qualified football psychologists on the books of the British Association for Counselling and its recognised associates in the sporting field, according to one recent survey. That means quite a few teams are getting little or no advice at all, while many more are prey to the kind of bonkers stuff that, a few years ago, led Robbie Fowler to be told by Glenn Hoddle’s favourite Medium that his goal scoring problems were caused by seven demons. He was playing for England, so the misinformation didn’t matter, but you get the point. Now anyone who’s kicked one of those round muddy things around with intent knows that team spirit, fearlessness and self-belief play a massive part in what we achieve, in addition to raw skill and training. As a kid I would play well some weeks, atrociously on others, especially when I got near goal. I somehow never believed I was going to score. Which meant that I usually didn’t. Fluffing a chance and the thought that you might fluff a chance become close companions in that bit of flexible stuff we have between our ears. My school coach used to say, “self-belief doesn’t grow on trees, you have to work at it.” He was half-right. If evolutionary psychology has anything to it (Desmond Morris and pals still provoke furious rows) confidence may precisely grow on trees – in the sense that it is the residue of the basic mental survival mechanisms our ancestors used to negotiate the jungle. So could many players at lower league clubs do with having their pep talks more scientifically tooled up in the mind-warp department? Research says yes, and it wouldn’t turn the game into some Orwellian nightmare played by automatons. This is because human beings are messy as well as creative; so most attempts to ‘programme’ them are destined to fail. Even so, psychological assistance might help iron out some of the more disabling errors players are prone to. As well as stopping the fans going completely barmy, possibly. Even when, as with Exeter, your own team has been knocked out; even when the bookies say one of the ‘big four’ is bound to win; even when second-string players replace stars; even when the oft-used appellation ‘magic’ sounds beyond cliché … still the FA Cup has the capacity to grab us by the eyeballs and sum up everything football aspires to be. The classic example came last week, when Blue Square South have-a-go-heroes Havant & Waterlooville took on the undoubted ‘haves’ of Liverpool and stole the lead from them not once but twice, before finally going down to 5-2 in a truly memorable Anfield encounter. Rafa Benitez, cheered from the rafters even when his millionaires were 2-1 down (such is the animosity towards wealthy American owners on Merseyside right now), put it succinctly. “This couldn’t happen in Spain”, he declared, recalling that non-league teams are barred from the Copa del Rey. It wasn’t a resentful statement – though the romance of minnows worrying the Premiership’s big fish was never likely to persuade Steven Gerrard and his bling boys to start fraternising with the bin men and caretakers. From Havant’s perspective, the long-term benefits of a cool £240,000 proceeds from the tie will stretch a good deal further than the afterglow of a treasured defeat. Though not as long as the memories, of course. And that’s the point. Put ‘Exeter versus Manchester United’ into Google and you’ll still come up with 26,000 hits and a forest of tales, clips and comments. For those who don’t spend their footballing days in the spotlight, the game isn’t captured in pounds and positions; it’s evoked in memories and ‘maybes’. Like the cheeky ‘nutmeg’ Scott Hiley performed on Cristiano Ronaldo, for instance. The Portugese superstar looked momentarily annoyed, but has probably forgotten it entirely by now. For Grecians fans, and Scott himself no doubt, it will live for a lifetime. But what of the FA Cup itself? Can it thrive and prosper in an era when Reading’s Dave Kitson can dismiss it summarily, when Premier League sides make eight or nine first-team changes in the earlier rounds, and when the chances of an outsider actually lifting it at the new Wembley seem ever more remote? I believe it can. Because the final outcome is only part of what sustains the competition’s spell; and because our memories are a little deceptive. Though Manchester United, Arsenal, Chelsea and Liverpool have won 18 of the last 20 finals between them and you’d have to go back to Wimbledon in 1988 for a real shock, the relative predictability has been with us since the 1970s. On the other hand, ‘giant killings’ have been a regular occurrence, and if the gulf between a handful of elite sides and the rest has grown, the days of poor performances, hopelessly unfit players and endemic tactical naiveté in the lower divisions have also been banished. Well, almost. It’s comparative, of course, but there are far fewer ‘walkovers’ than there used to be. Oddly, the real embarrassments are more likely to be experienced between teams where the gap ought not to be so great. Derby’s 4-1 humiliation by Preston, for instance. That said, since the foundation of the Football League, Tottenham Hotspur have been the only non-league winners of the FA Cup, in 1901. They were then playing in the Southern League and were only elected to the League proper in 1908. Don’t expect that record ever to be beaten. Meanwhile, Exeter and dozens of other aspiring giants won’t be snubbing the possibility of more Cup glory too soon, even if promotion is the unquestioned priority. Football cannot live by league status alone. The shocking Munich air disaster which took the lives of seven of Matt Busby's iconic Manchester United team (and many more) on 6 February 1958, happened just weeks before I was born and indissolubly shaped my earliest footballing memories. Indeed my first true 'night of passion' with the game was United's European Cup Final victory over Benfica ten years later. The following year my early dalliance with Man U, who in those days were loved or respected rather than despised or hated, gave way to a life-long love for mighty Dumbarton. But the Munich tragedy was etched into my psyche, the necessary shadow on the joy of the Beautiful Game - an event that puts sporting endeavour in true human perspective. There's a web book of tribute on Munich58.co.uk, profiles of the Busby Babes, a Guardian feature on the disaster, and much more online. A time to remember, undoubtedly. I really hope that the Manchester derby next week can put tribalism aside in honour of both the living and the dead of 1958. Hard-man Fabio Capello was quite right, of course. Even training diligently with Arsenal and having what Arsene Wenger called "the right physical and mental attitude" isn't the same as matchday experience. Nevertheless, it's hard not to feel for David Beckham, as he waits to see whether his 100 England caps will be fulfilled in one of the Summer friendlies. France is three days after Becks' first LA Galaxy game, so that's probably too early. You also have to wonder whether playing live football (sorry, 'soccer') for a team that would struggle in the English second division (sorry, 'Championship') is really so massively better than toning up in practice games with the likes of Emmanuel Adebayor. We will see. The ideal solution, of course, would be for Goldenballs to make his century appearance against Scotland, where the Tartan Army could toast him (though not necessarily in a good way!) I'd love it to happen, and I'd love to be there; for two reasons. First, I want to see Scotland beat England, obviously. Second, and all joking aside, I have always had huge regard for Beckham. Given the fact that he swims daily in a mad universe of celebrity and money, he's stayed remarkably level-headed and decent overall. His distribution and set play skills are absolutely top-class. His work rate and determination put his more spiteful critics to shame. I really, really hope he gets his day of international recognition... with Super Faddy denying his team consolation on the pitch in the 92nd minute. Probably won't happen, though. Apparently, Capello has no interest in a Scotland fixture. Bah.